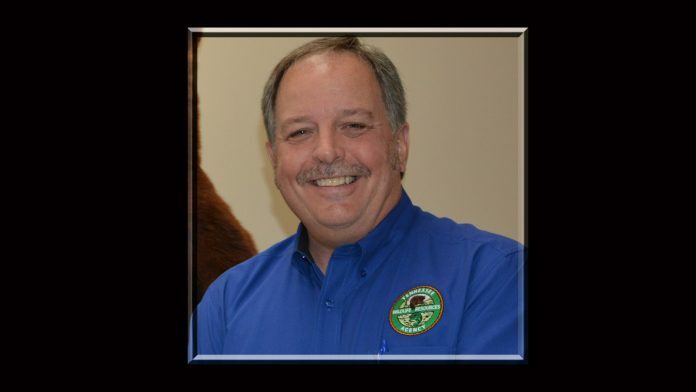 CROSSVILLE, Tenn. – John Mayer, the Region III Manager for the Tennessee Wildlife Resources Agency is retiring after 34 years of service. Mayer began his career as an assistant biologist. His main duty was to survey streams, ponds and small lakes throughout the 24 counties in the region. Much of the regional fisheries survey work done today was developed through his guidance. He also served as the night creel clerk on Dale Hollow for several years, which was then a popular rainbow trout night fishing location. Mayer later became the regional streams biologist where he was influential in the fisheries program including early musky restoration and monitoring efforts. Mayer’s innovation in fish stocking techniques allowed trout to be stocked in the Hiwassee River utilizing a helicopter. Tennessee was one of the first southeastern states to partner with the U.S. Forest Service, utilizing this method of stocking. Mayer became the assistant regional manager in 1999. He attended the Tennessee Law Enforcement Academy becoming a commissioned officer and maintained his commission for 15 years. He was promoted to regional manager in 2003 and oversaw regional agency restructuring in 2009. “John’s amazing leadership at this time was critical in helping guide the region towards better, cohesive management,” said wildlife program manager Kirk Miles. Mayer will not be replaced by a new Regional Manager. In 2017 TWRA reorganized the administrative “chain of command.” For many years Regional Managers such as Mayer directly supervised all regional biologists and wildlife officers. However in 2017 Regional Managers’ responsibilities were downgraded and they only supervised the regional office administrative staff. There will be a new Regional Administrator hired to oversee office staff (at a lesser pay grade). Now there are three managers in each of the four TWRA region offices over wildlife, fisheries and law enforcement… one oversees all law enforcement personnel, another manages all fisheries biologists and another oversees all wildlife biologists and personnel. They, in turn, report directly to their respective Chiefs in the Nashville headquarters.